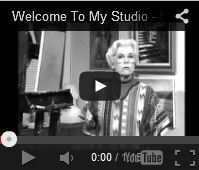 Helen Van Wyk is quickly recognized by thousands of artists as the host of PBS's Welcome to my Studio television show. 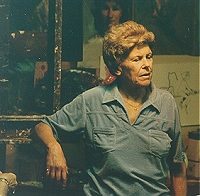 Helen took the time to teach us the principles and reasons behind painting each element in the progression of a work. Helen's sensibility in basic natural fundamentals taught us we can paint anything by employing these basics. Subject matter was a minor consequence to Helen. Using the basics, thousands of artists received the confidence to paint any type of subject. 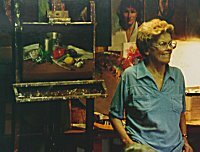 This Internet site is dedicated to the memory of Helen Van Wyk and her painting style.